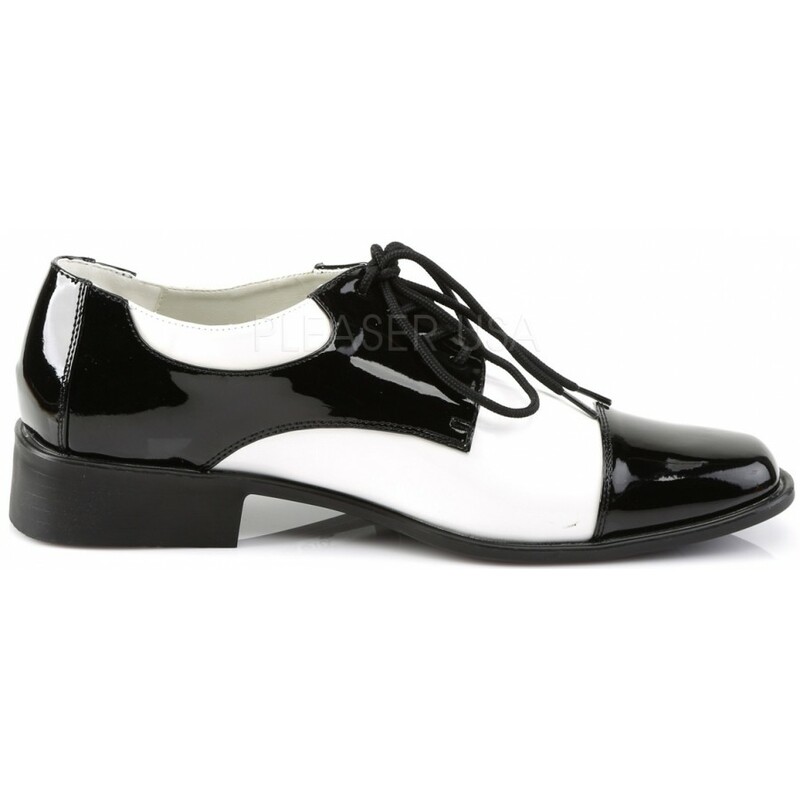 Black and White men loafers have a 70s style with lace up front and 1-inch heel. 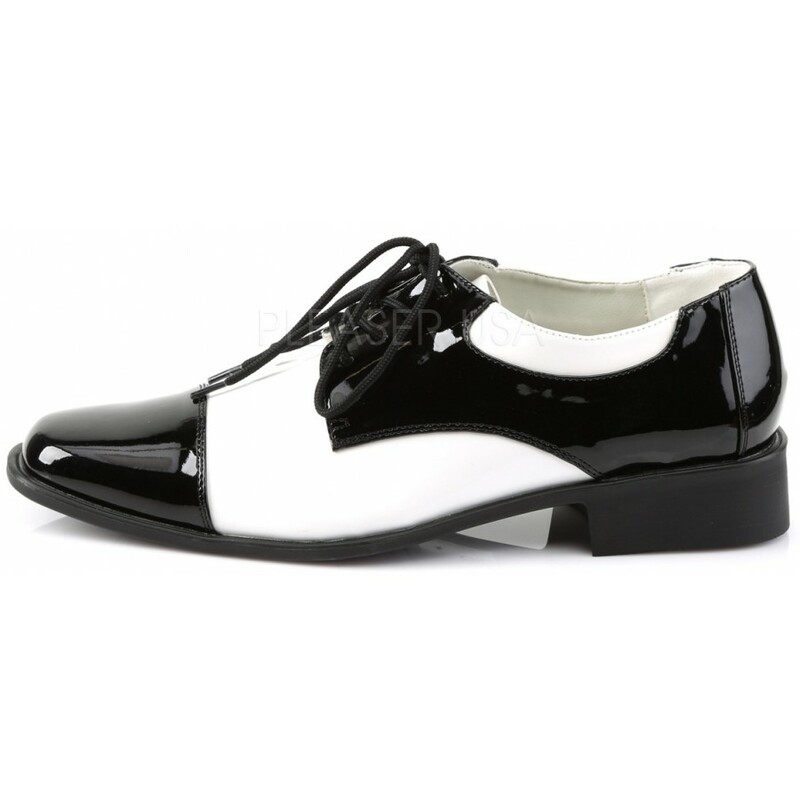 Get your groove on in these black and white Disco 18 men's shoes. Item Number: PL-DISCO-18 | Approximate Size (Inches): 12.00 wide x 14.00 deep x 8.00 high | Approximate Shipping Weight: 3.00 lbs.